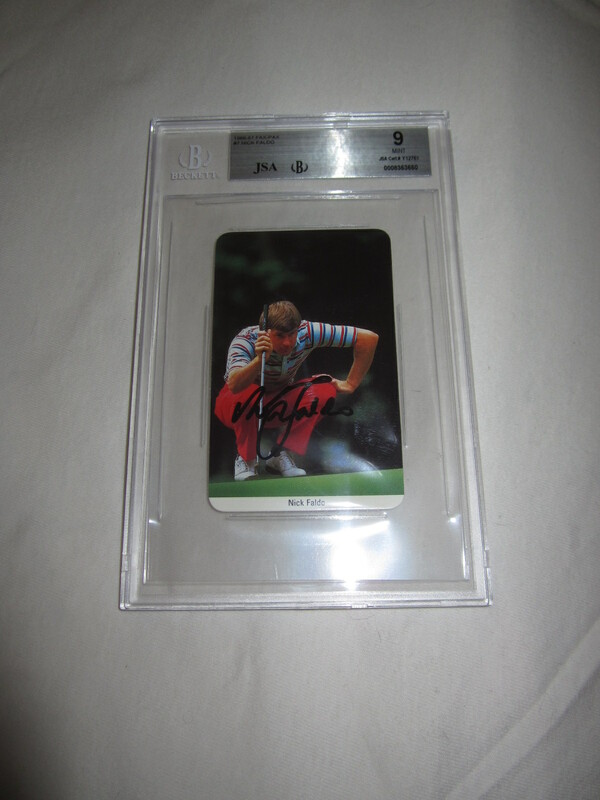 1986 Fax Pax golf Rookie Card autographed by 6 time major champion Nick Faldo, authenticated by JSA and graded 9 MINT by Beckett Grading Services (BGS). The autograph is graded a perfect 10 (shown on the back of the label). ONLY ONE AVAILABLE FOR SALE.